Welcome to Blann & Co Accountants in Worthing, providing a personalised accountancy service to local business owners and individuals. 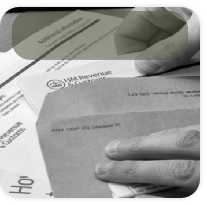 NEED HELP with TAX Returns, VAT, PAYE, dealing with HMRC and Companies House? Give Paul a call on 01903 233380 now. We offer a range of affordable fixed fee accountancy and taxation services to suit your requirements and your budget. Give Paul a call now on 01903 233380 for a free initial 30 minute meeting to see where you can save money! Are you unhappy with your current service? paying too much? starting a new business? If yes, get in touch with Paul now. "As a Freelance Project Management Consultant the last thing I want to spend my time at home on is my tax return. I just pass everything to Paul at Blann & Co and he takes good care of it. Fantastic service, very highly recommended"
"If you want to speak to some of our real clients who'll tell you all about our service, I'm more than happy to give you the contact details of some who receive the kind of service you're looking for. Just contact me for details." "At all times, I have found Paul to be approachable, friendly and very reliable. It is without hesitation that I recommend Blann & Co Accountants to any person who requires an experienced accountant." A limited company is the most common type of business entity and gives its owners (shareholders) limited liability. This means that the owners are not personally liable for the debts and liabilities of the company. Limited companies can be very tax efficient if operated in the correct way and they are therefore a popular choice of structure for business owners who make a reasonable amount of profit. We can advise you whether or not it would be beneficial for you to trade through a limited company. We can also set up a company free of charge for clients who register with us. If you already have a limited company, we can take care of all your accounting and tax requirements. We are able to complete any other services you may need such as PAYE, VAT returns and can be added as and when you may need them. A sole trader is an individual that owns and runs a business. A sole trader is fully liable for any debts and contracts the business has and from a legal point of view there is no difference between the business and the individual. Many people often start trading as a sole trader because it is the most simplistic way to begin and trade, then progress to operating through a limited company later on when the business starts to make reasonable profits. We can take care of all the accounting and taxation requirements of sole traders . We can offer many sole trader accounting services including help with registering the business and offer ongoing support and assistance going forward. We also regularly review your business to see whether it is operating in the most tax efficient way. Contractors face a number of issues before they start to work. We deal with many types of contractors and are happy to help with initial questions new contractors have. A Partnership is a business owned and run by two or more people. The partners will share the profits according to the percentage they own but are responsible for the debts and contracts of the business. We can help with all accounting and tax requirements of partnerships. We can also help you set up your partnership and ensure that you are operating in the most tax efficient way. A Limited Liability Partnership (LLP) is a partnership whereby the partners have limited liability i.e. they are not personally liable for the debts of the business. we can advise whether an LLP is the best structure for you and can complete all of the necessary accounts and returns as required.